ORDER NOW. PAY IN 7 – 14 DAYS. Do you have a monthly need to print? Then why not join our Business 2 Business service. This service is suitable for cafés, restaurants, advertising and event agencies. Also, it is available to all those who actively promote their services and often use printing services. Firstly it allows you to adjust the ordering of printed materials to fit your budget. So you can plan not only money, but time also. It allows you to combine different orders under one invoice. This would facilitate not only the work of someone who is directly involved in ordering, but also accountants, saving them time to do other work. 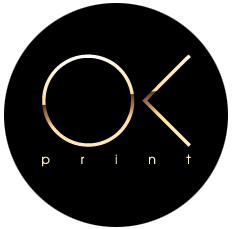 Ordering from “OK PRINT”, you can be sure of the quality and timing of your order. No unexpected surprises! The creation of a long-term partnership, which will allow you to work with the best prices. We value our customers, so be prepared for discounts and special offers. Join our Business 2 Business service and get free delivery! Monthly orders must be a minimum of $500. Outstanding payment for any current month cannot exceed $1000. Simply fill out the form below for more information and our manager will contact you shortly. *Clients must have a Miami based address.